When we understand the differenciation between the true/Higher Self, and its reflection the personality (lower mental, astral, etheric, plasma and physical bodies), we then can understand the importance of proper identification of the consciousness. Mistaken indentification with personality aspects, the lower bodies in the world of forms, increase darkness and disconnection between higher and lower self, while identification with the Higher Self increases Light and connection between higher and lower self, leading to the Higher Self taking full control of the lower, which means that Light and Source redeem matter and heal creation on all planes. There are two main types of mistaken/dark identifications. The first type is a mistaking of the light received from the Higher Self as being from the lower self. The lower self receives some kind of higher inspiration or life force, small or large, and wrongly assumes that this is coming from the personality, lower separated self down here. This also occurs because of forgetting that the Higher Self who is emanating all Life and all Light is not a separated self but a part of the One which is the same present in all, in the same way my hand is a part of my physical body. This kind of dark identification will manifest as a 'chosen one' complex or various other superiority or righteousness complexes. The lower identification will delude itself into thinking it is doing good by its actions, such as focusing on the personality, trying to force people to do things, criticizing others, etc. The second type is unfortunately potentially even more dangerous, and occurs usually after traumas, when the consciousness identifies with the anomaly, the chaos and fragmented aspect of the personality. The personality self is a mixture of Light from the Source and anomaly. The anomaly fragments, separates, disconnects, disorders various aspects of creation represented in the personality. Different persons have different degrees of anomaly and Source presence in their personality, depending on the journey the personality has followed and choices being made. This second type of dark identification will cause the consciousness to think it is the anomaly, the fragmentation and the chaos in itself, and will then act, consciously or subconsciously, to defend the survival of anomaly and actively block Light. Depending on the degree of identification, this may only manifest as inferiority complex or depression, or develop further into deluding itself that it likes darkness which we can see for example in horror type movies, fashions, etc, or develop even further into various actions of intentional harm against oneself or others. The most extreme cases of such misidentifications are the dark forces. These mistaken identifications can occur in various contexts and attach to various internal and external elements, and accumulate in the energy field until cleared by the energy of the Higher Self. The only real, non-mistaken, truthful identification that leads to all the good qualities of life, is identification with the Higher Self who is the original emanation from the One Source present in all, who has remained connected with it. Our Higher Selves on the highest spiritual planes are all areas on the surface of one big sun, each of them emanating rays of Light which are the lower spiritual planes (Atmic, Buddhic and higher mind), and our personality are only the Light from these rays shining inside a house through a curtain. The nature of various activities will be largely defined by how the consciousness that initiates it is identified. The essence of black magic is to use power from the lower world of forms directed towards the lower world of forms without control being made from the world of Higher Self. The essence of white magic is to bring the presence of the Higher Self down into the lower self, and bring the world of Higher Self to take control of the world of lower self. For example, sexuality is actually a natural, innate and powerful form of magic. When it is done in consciousness identified with the form, identified with the lower separated individual self, it is black magic. When it is done with the consciousness actively identified with the Higher Self, with the awareness of the One presence, with the intention to align with this, it can then become white magic. This applies to any and all activities. Here is a powerful tool to help heal identifications, bringing them back to the Higher Self. The words in parenthesis are optional, they are meant to clarify what is meant by 'fixed design', which is that the design for the Self on all planes including lower planes, is fixed by the Soul/Higher Self only. This is a powerful invocation which has been used by many disciples for a long time and has proven very effective. As we say the words, we may feel the Light pouring from the Soul star chakra down through the central channel of the body along the spine, down into the Earth Star chakra. This channel, when properly opened, connects all planes together and is used by the Higher Self to control the lower vehicles. It is highly beneficial to start any spiritual (or other) practice by doing this invocation or a similar one. We can then do the activity 'as if' we are the Soul which will strengthen the connection and greatly increase the effectiveness of anything we are doing. And in truth, we really are the Soul and Higher Self, for example when we go to sleep at night, we may put the physical vehicle aside and go do things in the astral vehicle, but the self operating both of the vehicles is the exact same, and when we leave the vehicle when it dies (whether physical, etheric, astral or mental), all life and consciousness disappears from it, the vehicle exists no more but the Self is eternal and moves on elsewhere. The only Self who remains, who drives life forward, is the Higher Self. The astral body is the energy of the Self pouring outwards seeking unification with the world. It reaches outwards and makes contact with various elements and registers this contact as sensations. The sensations are registered and made conscious in the physical body but they are actually occuring in the astral body. These sensations when positive are pleasure, pleasure for example of taste in the mouth, of feeling on the skin, of presence of somebody. Or when they are negative the sensations are pain. Over time sensations accumulate and group together forming feelings, which are attractions or repulsions. When registered and understood by the mental body, mental and astral matter connect and form together emotions, love or hate. This is the way the astral body is formed and composed, by the energy of the Self making various contacts with its environment. However the astral body is actually, in a sense, a reflection of another body in the Higher Self, the Budhic body, which is the plane above the mental. This body also is the energy of the Self reaching outwards making contact with the environment, but it is doing so in a world of Oneness, beyond form, beyond duality, therefore it does so from a point of view not of separation but of recognizing the One in everybody and everything. Therefore the budhic consciousness manifests as reaching outwards not simply for the pleasure of the lower self from a selfish point of view of separation, but in consciousness of Oneness, which manifests as compassion, as desire to help and serve, and desire to manifest Budhic reality of Oneness in the world. Another name for Budhic consciousness is Christ consciousness. As consciousness evolves and Higher Self takes progressively control of the lower self, the budhic body actually takes control and supersedes the astral body in the lower self, and astral energy reaches outwards with budhic energy and consciousness. This process can be greatly accelerated with conscious intent, and heals mis-identifications and anomalies in the astral body. A similar process also occurs in the mental body, in which the lower mind is part of the personality, and higher mind part of the Higher Self. The lower mind gets ideas and understanding and thoughts simply by analysis of conditions in the experiences of the lower self, in the world of forms. The higher mind is a translator of impulses of will coming from the Higher Self, it translates the will into a thought, giving it its first archetypal form. As consciousness evolves, the separation is bridged and the lower mind becomes more of a transmitter for the higher mind, it retains its understanding of the world of forms and transmits the impulse of will from the Higher Self down into the lower bodies. As purification progresses, more impulses and Light from the Higher Self reach the etheric body via the mental and astral, the etheric then follows and develops and becomes more strong and able to transmit prana. As the etheric body is the blueprint of the physical, if the impulses are followed by physical actions and discipline, changes in the physical normally quickly follow. As Cobra explained, the universe is a result of interaction between the Source (the principle of the Absolute), and its logical opposite the primary anomaly (contingency, senselessness). The Source intervenes in the universe to correct, heal and re-connect it with itself, using its divine will, but its power is limited by the anomaly. The universe arranged itself into various planes which are states of matter, expressing various proportions of Source presence and anomaly. Highest planes are almost completely infused by the Source, and the lower we go the more anomaly there is. I have realized that we can connect with the rays using fire or light of the corresponding colors. You are probably already familiar with the 7th ray, the Violet Flame, and the 10th ray the White fire of AN. We can use all other rays in the exact same way. These rays are the original archetypes of the 12 zodiac signs. However the veil distorts the energies of the rays as they reach Earth so most people experience them in a distorted more negative version. We can help this by connecting to the original positive archetypes. These 12 archetypes are present throughout the universe, each constellation and star system anchoring a specific ray, while also all rays being present in each solar system. It's a very well organized and intricate fractal system. For example our well known 12 constellations transmit the 12 rays, while other constellations transmit them through other parts of the galaxy. Our particular solar system anchors the second ray, in other words that is the dominating ray here, and at the same time all rays are present inside this solar system anchored by the various planets. 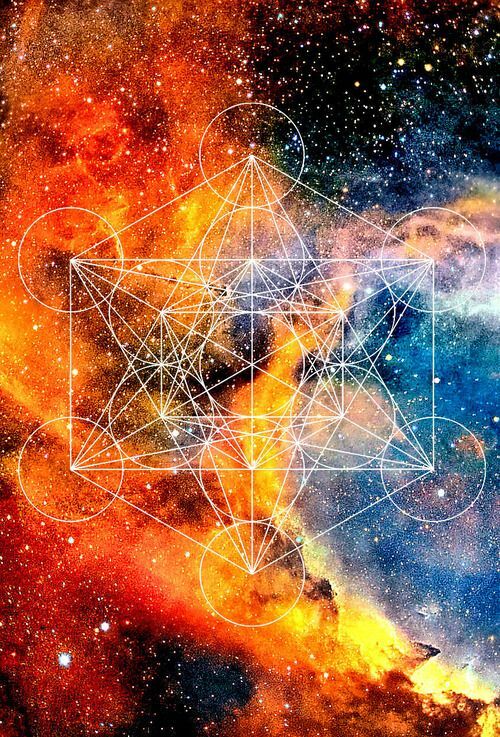 We find the same fractal system in individuals, each being having specific rays as their dominating energy, while also having all 12 present inside each being. 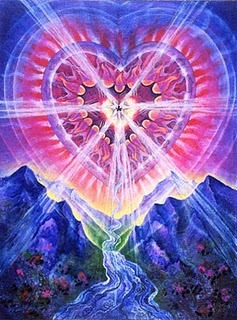 Soul families are also organized with soul mate groups being composed of 12 beings corresponding to 12 rays. We need to remember that the Source is not an external consciousness that exists somewhere outside of us in the sky or on a high plane. It is not a creator God but more like a principle, the original principle, original cause of all that exists. We can not really touch it by description but it is everywhere and we are incarnations of it as it is our deepest purest aspect. The higher the plane, the less everything is differentiated, the more everything is flexible, unified, cohesive and harmonious. In other words, the less anomaly there is, the more creation reflects Oneness. So we are truly all One presence of Light in the highest plane. Up there we find the highest aspect of our higher selves, which are actually all a cohesive and organized whole, so we could say, instead of my higher self or your higher self, it is our higher self. As we start to go down the planes a little, in other words to densify matter a little, this one unified whole starts to become more differentiated and we can distinguish more and more several aspects, which are still organized as a cohesive and harmonious whole. We can see there that various higher selves are embodiements of these 12 rays as their essence, so each ray is embodied by a specific Archangel, as we have seen before the 7th ray is embodied by Zadkiel, and the 10th by Metatron. 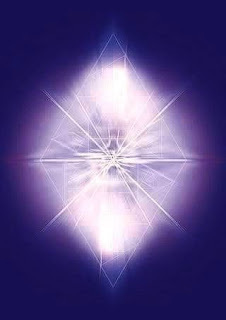 We can understand here that St Germain's higher self is also an embodiement of the 7th ray. These two rays have become more known and used on this planet as they have been more needed because of their transmutation properties, since we are during the process of planetary purification (rays 2, 8 and 9 also have strong healing and transmutation properties, among others). As incarnations of Source we are invited to anchor the rays into this reality by using them in our lives and for the planet however we feel guided, to help heal this world, re-organizing it into a harmonious whole. "[The mental body] does not, like the astral body, become a distinct representation of the man in form and feature when it is working in connection with the astral and physical bodies; it is oval - egg-like - in outline, interpenetrating of course the physical and astral bodies, and surrounding them with a radiant atmosphere as it develops - becoming, as I said, larger and larger as the intellectual growth increases. Needless to say, this egg-like form becomes a very beautiful and glorious object as the man develops the higher capacities of the mind: it is not visible to astral sight, but is clearly seen by the higher vision which belongs to the world of mind. Just as an ordinary man living in the physical world sees nothing of astral world - though surrounded by it - until the astral senses are opened, so a man in whom only the physical and astral senses are active will see nothing of the mind world, or of forms composed of its matter, unless mental senses be opened, albeit it surrounds us on every side. These keener senses, the senses which belong to mind world, differ very much from the senses with which we are familiar here. The very word "senses" in fact, is a misnomer, for we ought rather to say mental "sense." The mind comes into contact with the things of its own world as it were directly over its whole surface. There are no distinct organs for sight, hearing, touch, taste and smell; all the vibrations which we should here receive through separate sense-organs, in that region give rise to all these characteristics once when they come into touch with the mind. The mind body receives them all at one and the same time and is, as it were, conscious all over of everything which is able to impress it at all. It is not easy to convey in words any clear idea of the way this sense receives an aggregate of impressions without confusion, but it may perhaps be best described by saying that if a trained student passes into that region, and there communicates with another student, the mind in speaking speaks at once by colour, sound and form, so that the complete thought is conveyed as a coloured and musical picture instead of only a fragment of it being shown, as is done here by the symbols we call words. Some readers may have heard of ancient books written by great Initiates in colour-language, the language of the Gods; that language is known to many chelâs, and is taken, so far as form and colour are concerned, from the mind-world "speech," in which the vibrations from a single thought give rise to form, to colour, and to sound. It is not that the mind thinks a colour, or thinks a sound, or thinks a form; it thinks a thought, a complex vibration in subtle matter, and that thought expresses itself in all these ways by the vibrations set up. The matter of the mind world is constantly being thrown into vibrations which give birth to these colours, to these sounds, to these forms; and if a man be functioning in the mind body apart from the astral and the physical, he finds himself entirely freed from the limitations of their sense-organs, receptive at every point to every vibration that in the lower world would present itself as separate and different from its fellows." The mental body, though egg-shaped usually, can remould itself into various shapes as desired, if one has enough developpement and mastery on that plane. This description of the mental body as a much less differentiated and more flexible form than the physical should help to picture how, on other planes above it, everything is even less differentiated and more flexible. Our higher self does not look like a fancy humanoid body, it is instead a presence of Light which is beyond the world of forms, so when we say that we are beings of Light it has a litteral meaning in that sense. Usually Star seeds, since they are souls coming from higher planes who came down into the lower planes, have more developped higher bodies, but sometimes less mastery of the physical world. This reflects in how many lightworkers can have more elaborated and clear mental understandings and ideas and astral aspriations and desires than the average human, but these have often not managed to manifest into the physical reality. This is also very much due to the fact that etheric and plasma planes on this planet are very infected with darkness which intercepts manifestation as it is on its way down into the physical. Here it is essential to have strong discipline of purification and ethics on all planes, and sticking to the manifestation process of creating on all planes from above downwards successively. Most of humanity, non Star seed souls, have evolved from lower planes upwards. So we can see through human history that, thanks to assistance and impulse from the Light forces, human society has learned progressively to develop various bodies, the astral body had a main breakthrough in late 1700s with manifestation of ethical principles such as the declaration for the rights of man and several nations constitutions, mainly brought about thanks to St Germain, and later around the late 1800s more development of the mental body came about, with the industry revolution and teachings brought by original Theosophists. Although the dark have kept interfering and hijacking, there has been clear and definite progress nonetheless. Now we are, on a planetary level, working towards the next plane, which is crossing the mental membrane into the planes of the higher self, which will bring about the biggest and most definite changes. This is the most important transition which will end the division between lower worlds of duality and darkness on this planet, and higher planes of Light and Oneness, bringing a downpour of Light into the lower planes, ending darkness and ushering reality of pure Light in all of creation. This process could be described as starting to build the bridge connecting lower planes and higher planes, so called antakharana or rainbow bridge, on a planetary level. Each individual developping their own connection with the higher self affects the planetary energy field and helps in that process. 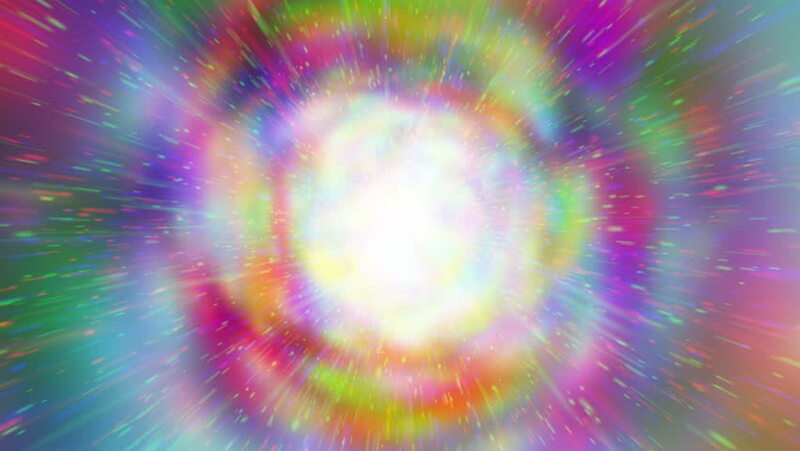 Also the Goddess Vortex technique by Cobra (and the rainbow vortex we visualize during sunday Ascension meditations) assist that process, as well as many other forms of Lightwork.